I participated in an Influencer Activation on behalf of Influence Central for Neutrogena. I received samples to facilitate my review and a promotional item to thank me for my participation. Know that I only promote items I use and stand behind. To read my disclosure policy, go here. 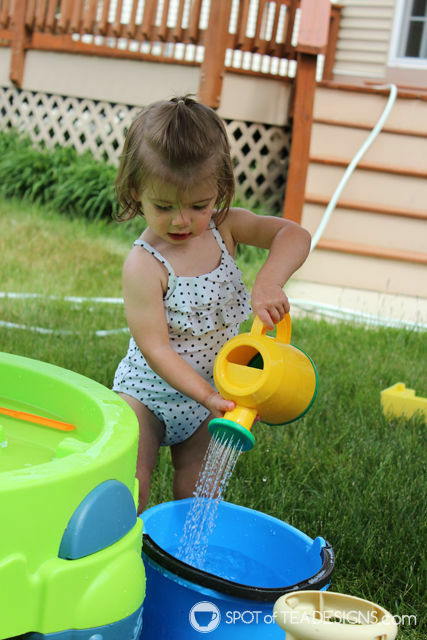 Long time SOTD readers will remember a post last spring where I shared the challenges of finding ways to safely play outside with an infant in regards to exposure to the sun. At the time Miss Brielle was only 8 months old and not yet mobile. She’d safely sit on a blanket in the shade with a sun hat and sunscreen on, happily reading the few books or playing with the few toys I brought outside. One year later and this active toddler wants to be “oww siiii” (outside) more than ever and isn’t interested in any activities which involve sitting. Since Derek’s side of the family has a history of eczema and sensitive skin, I know I have to take extra care in protecting Brielle’s precious skin. I don’t want her to get any sunburns as I know how painful they can be and know they increase the odds of developing skin cancer later in life. I hate hearing the stats like 1 in 5 Americans developing skin cancer, yet only 20% use SPF daily. Derek’s dad works at a golf range and I tell him to put sunscreen on ever time I see him! At home, we take strides to make sunscreen application a daily, routine act. 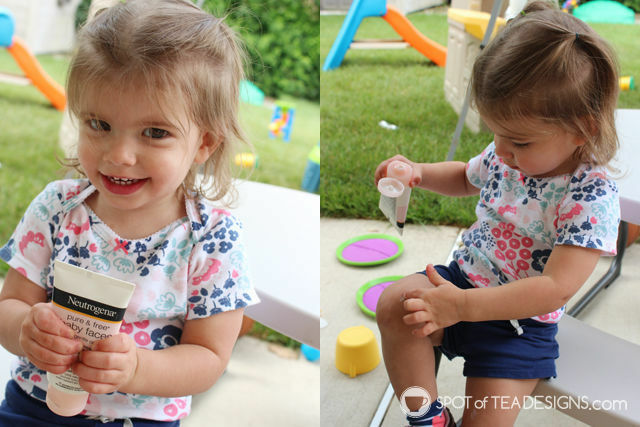 While most kids despise applying sunscreen, Brielle has gotten accustomed to this action since we do it everyday before outdoor play or before dropping off at daycare. Her only requirement? “I hold it” meaning she wants to hold the tube while I rub it in. Sometimes she also helps to rub in any spots that she still sees as white or tries to apply a little on her own (under my supervision of course). 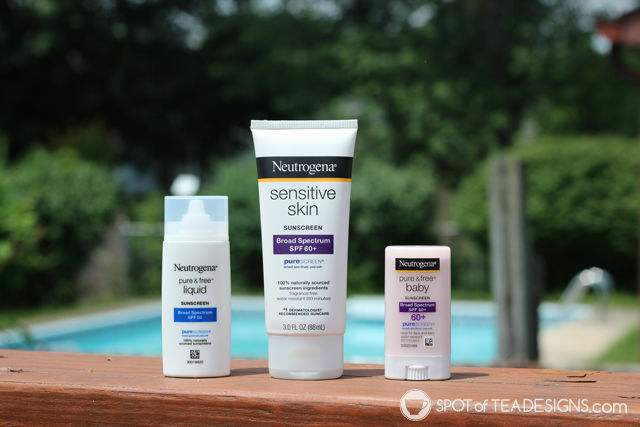 I’m happy to share that the National Eczema Association (NEA) has awarded its “Seal of Acceptance” to 5 Neutrogena Sun products, including: Neutrogena Pure & Free Baby Faces Ultra Gentle Sunscreen Broad Spectrum SPF 45+, Neutrogena Pure & Free Baby Sunscreen Stick Broad Spectrum SPF 60, Neutrogena Pure & Free Baby Sunscreen Lotion Broad Spectrum SPF 60+, Neutrogena Sensitive Skin Sunscreen Lotion Broad Spectru SPF 60+ and Neutrogena Pure & Free Liquid Sunscreen Broad Spectrum SPF 50. 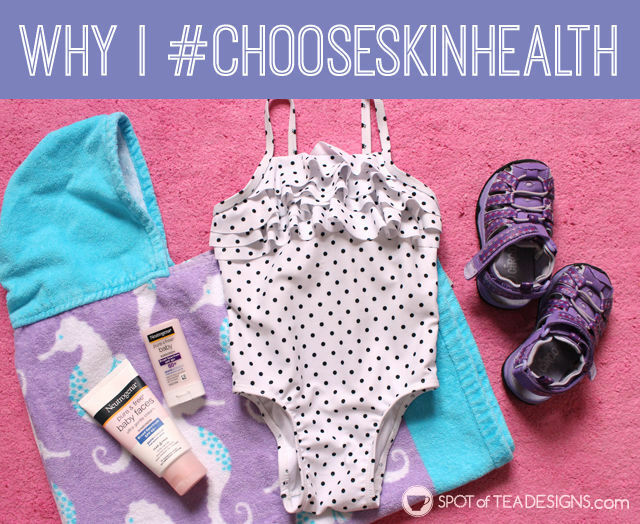 To learn more how Neutrogena is providing adults and babies with eczema or sensitive skin a safe sunscreen option that protects using naturally sourced sunscreen ingredients, visit their website, Facebook or Twitter. These items are now available online and in Walmart stores!